A beautiful, intentional life doesn’t just happen. It requires hours of prayer, planning, and hard work. If we’re not careful, the hours of our life can slip through our fingers like water, leaving us wondering where it all went. 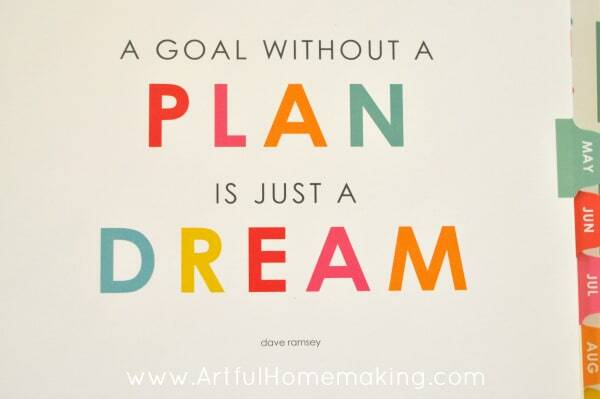 Even though our carefully crafted plans can take an unexpected turn (like mine did last year, when my dad suddenly got sick and then died after a couple of months in the hospital), I still think it’s worth it to plan. 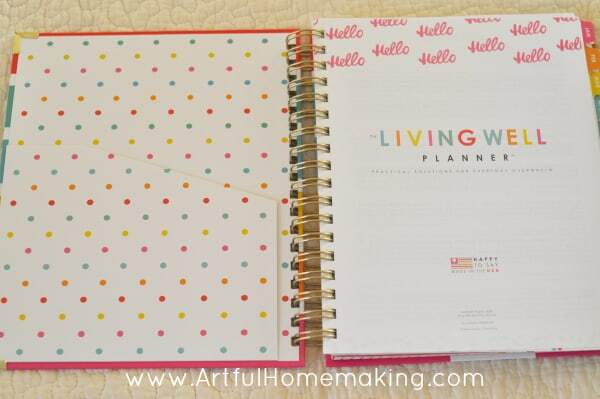 And being a planner addict, I decided to go in search of a planner that would help me manage my life as thoroughly as possible. That’s where the Living Well Planner comes in. I’m so happy with this planner, and I can’t wait to use it! I have several planners that I use for various purposes, and this will be my main life planner that I refer to for my day-to-day plans. I’ll show you why I love it below. 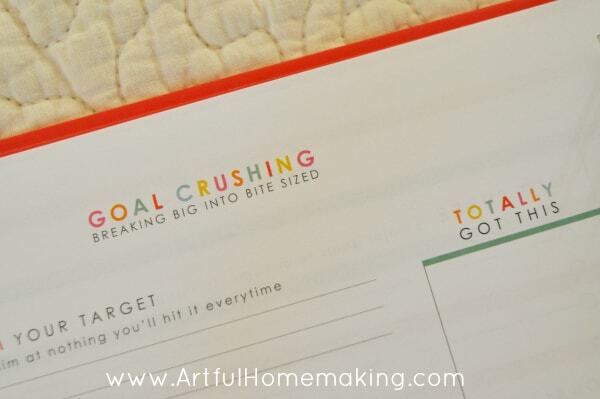 The front of the planner includes some amazing goal-planning pages. 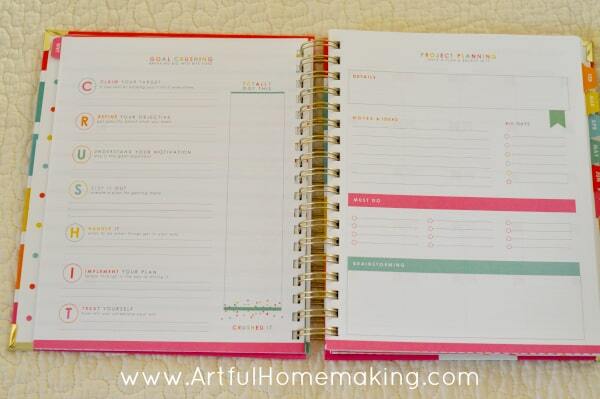 When you purchase the planner, you also get access to a helpful goal-planning website that helps you set up your planner and also helps you set your big goals and then smaller goals to make the big goals a reality. 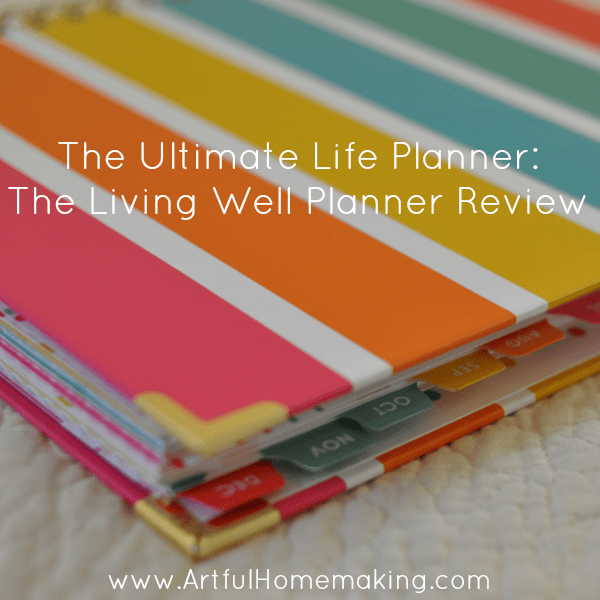 The Living Well Planner is exceptional in my opinion. 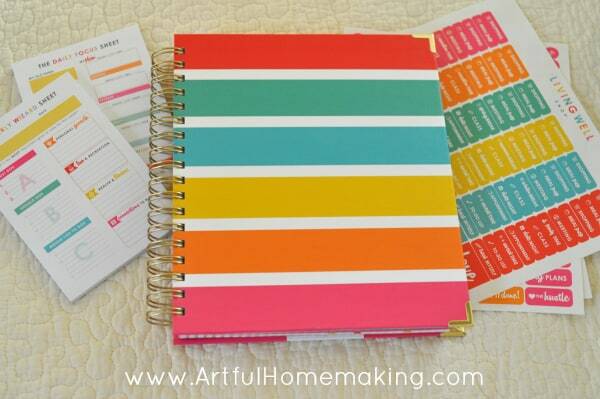 I haven’t yet come across another planner like it. Here’s what sets it apart from other planners. Every month starts off with a Monthly Goals page. 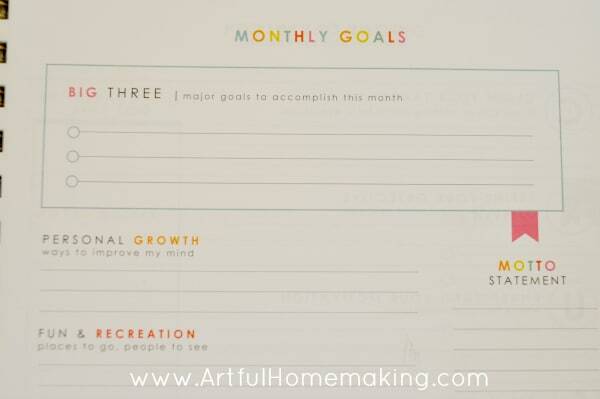 At the top of the page, you can record your “Big Three” major goals to accomplish that month. This planner helps you walk through a unique Goal Crushing System to help you actually reach your goals this year. 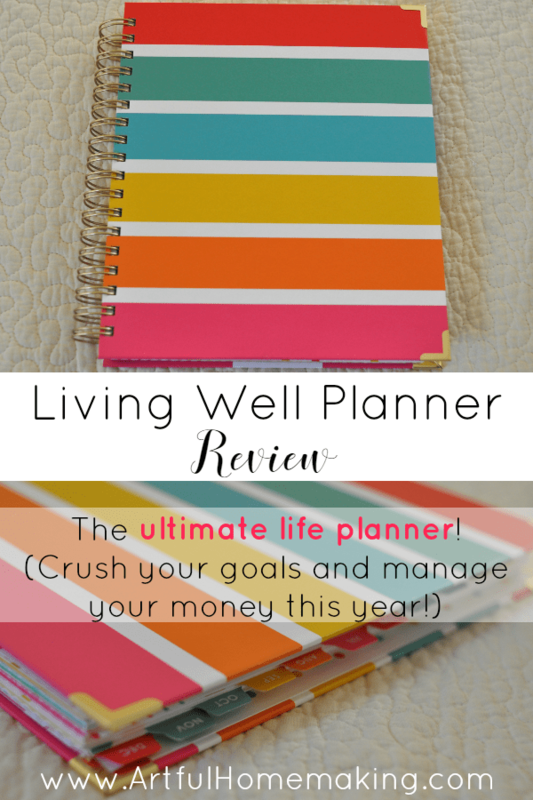 Where other planners might have a place to record a few goals or jot down some ideas, the Living Well planner actually helps you achieve them. 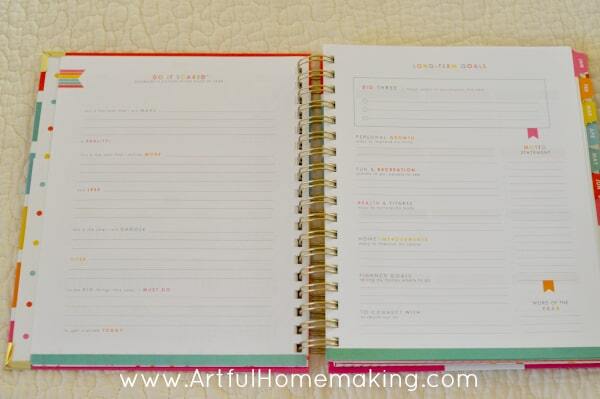 These two pages help you flesh out what you want and need to accomplish in the coming month. This really facilitates intentional living, since you’re constantly being encouraged to go over your goals and focus, again and again. Yes, that’s right. 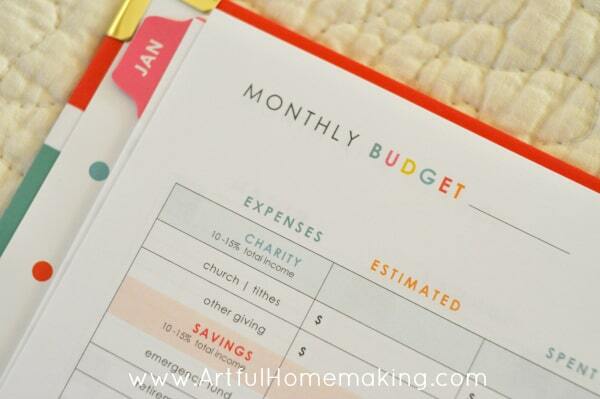 This planner includes a monthly budget page at the beginning of each month! 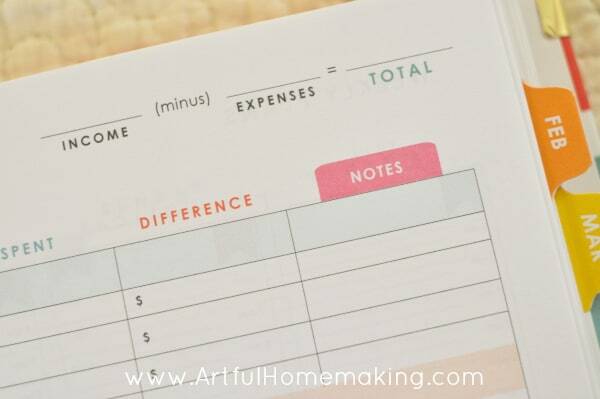 How great is that, to have your monthly budget right in your daily planner?!? This was really one of the main selling points for me. 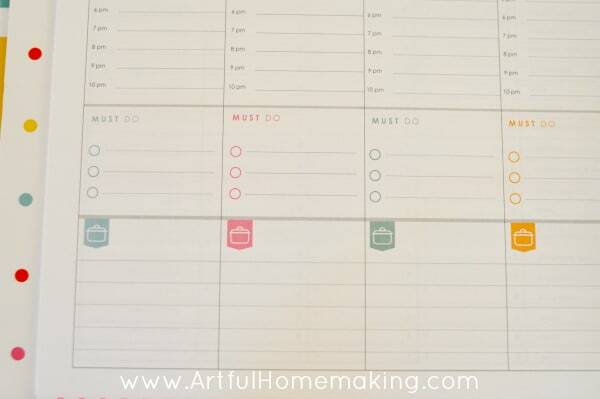 I love having everything in one place—goals, budget, and daily plans, all right here together. 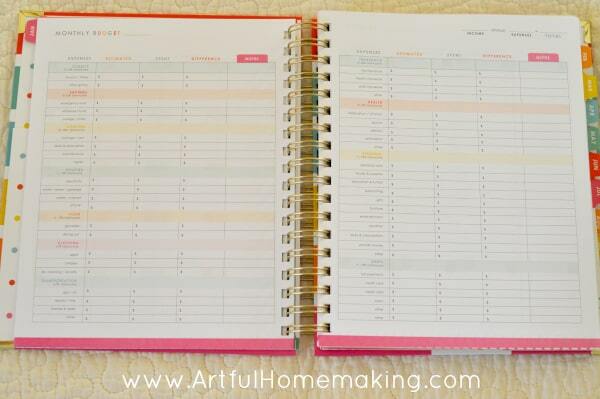 I love knowing that I will be prompted at the beginning of each month to go over the budget with my husband. It’s so helpful to have it in the planner with everything else! 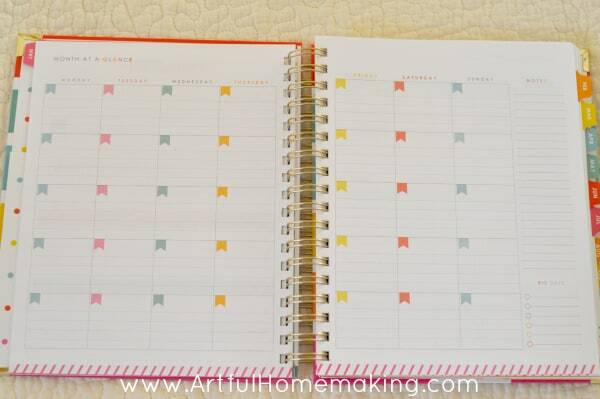 The weekly plans are spread out across two pages. Each daily column features an hourly slot, starting with 6 am and ending with 10 pm. There’s also a place to record your top three most important things to do, as well as a place at the bottom for your meal plan. The planner includes some beautiful stickers at the back! 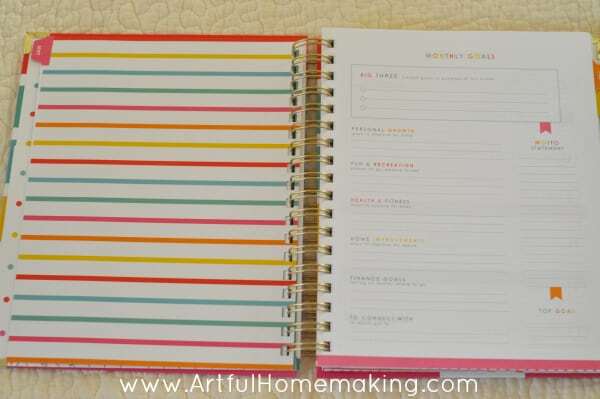 Also, it comes undated, so you can start the planner whenever you want! 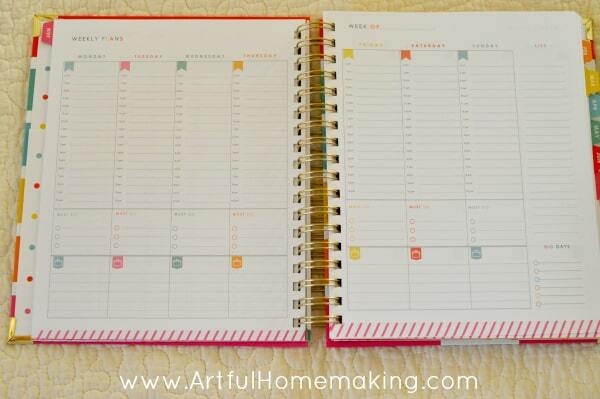 You add the monthly tabs yourself, which is simple to do. 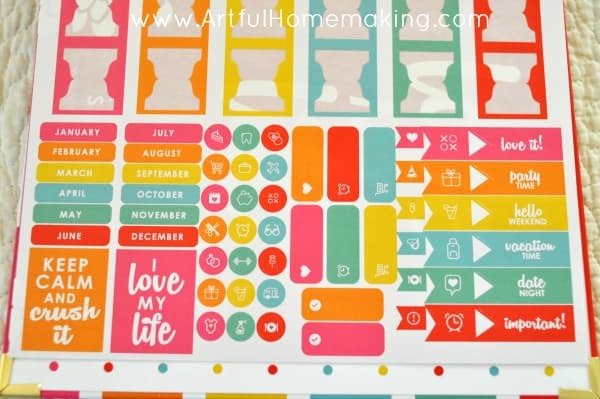 You can also purchase additional stickers and these helpful planning sheets. 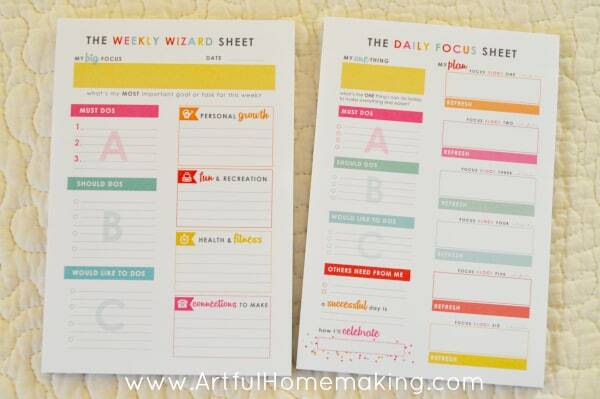 These are sticky on the back, so you can fill one out and stick it in your planner to help you focus on your weekly and daily goals. This is the main planner I’ll be using for 2017! I can’t wait! 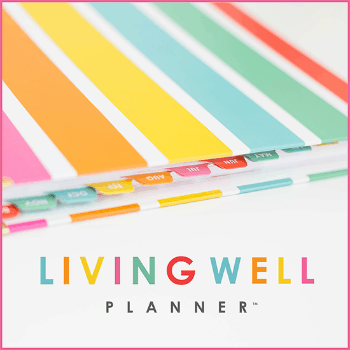 If you’d like more information on the Living Well Planner, click this link or click on the button below. P.S. Right now you can get free shipping on all orders! Disclosure: This post contains my affiliate link. Thanks so much for your support! Read my full disclosure here. Sharing this post here. Is this a physical copy of the planner that you send out? Yes, it’s a physical planner that comes in the mail. I’ve already ordered my copy for 2019. This will be my third year to use it!